Why Is The Amazing Spider-Man 2 Considered a Failure, But X-Men: Days of Future Past Is Not? 15 Comments on Why Is The Amazing Spider-Man 2 Considered a Failure, But X-Men: Days of Future Past Is Not? 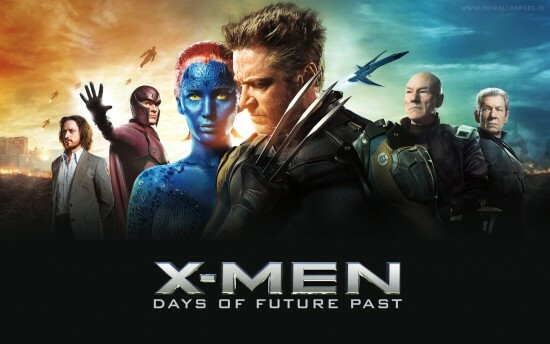 A little over 6 months before X-Men: Days of Future Past came out we learned it had become the second most expensive film in the nearly 80 year history of 20th Century Fox, trailing only Avatar, which officially cost nearly $240 million. Uh-oh. After Superman Returns and Jack the Giant Slayer, was this yet another Bryan Singer movie with a runaway budget? Was this a wise investment for Fox considering how the X-Men films had been on a box office decline since The Last Stand? Were they pushing the profitability bar too high? At a certain point we’d kind of like to see a sequel and huge budgets don’t really help with that, not when most major film markets outside of Asia are either flat right now or on the decline. Just a couple of weeks later, Bryan Singer announced on Twitter “#Xmen #Apocalypse 2016!” which was quickly followed up by an official clarification that a Days of Future Past sequel had indeed been greenlit for a 2016 release. That was a lot of confidence in a film using time travel to do The Avengers for the X-Men universe. I was worried. I even made a chart and everything! However, it’s funny how a pretty good movie can make you forget all of that. Days of Future Past arrived, scored a franchise high for worldwide gross, and doggone it people liked it, even if it maybe created more plot holes than it solved and erased not just the films we didn’t like (goodbye and good riddance to X-Men: The Last Stand) but also the ones we kind of did (with great regret, goodbye The Wolverine). Bryan Singer, Simon Kinberg and company are now preparing X-Men: Apocalypse. All financial concerns are largely forgotten. But don’t you kind of want to know why Days of Future Past is considered such a success even though its worldwide gross was just around $40 million higher than The Amazing Spider-Man 2, i.e., the film that completely killed its franchise? It cost $350m to make, market and release Days of Future Past worldwide, but Fox only took $303m from worldwide ticket sales after dividing the $748m worldwide gross with theaters. What really screwed them was the $100 million they had to pay out on talent participation deals to the likes of Bryan Singer and Hugh Jackman and various other cast members, and what saved them was home video. However, that’s apparently the real cost of trying to do an all-star comic book movie with actors and other talent who won’t come as cheaply as those in the Marvel Studios films. Sony spent an insane-sounding $430m to make, market and release The Amazing Spider-Man 2, a film which ultimately gave them just $287m from their share of worldwide ticket sales. That level of spending would not seem to make much sense considering the first Amazing Spider-Man set franchise lows in pretty much all significant box office categories. Perhaps not coincidentally, ASM2′s $255 production budget is pretty much identical to Spider-Man 3’s, the reviled emo-Spider-Man story which threw too much together for one movie to handle. A significant source of the cost in that case was their need to create an entire new technology to achieve the CGI effects for Thomas Haden Church’s Sandman. Here, I am not sure why ASM2 cost that much to make, especially since the most likely candidate, i.e., the special effects, was often a target of criticism, fantastically eye-popping in some scenes, surprisingly ho-hum video game-y in others. Sony likely figured you have to spend more money to make money, and that strategy worked out beautifully for Warner Bros. and The Dark Knight after Batman Begins had been a mediocre theatrical hit with insanely euphoric word-of-mouth after the fact. 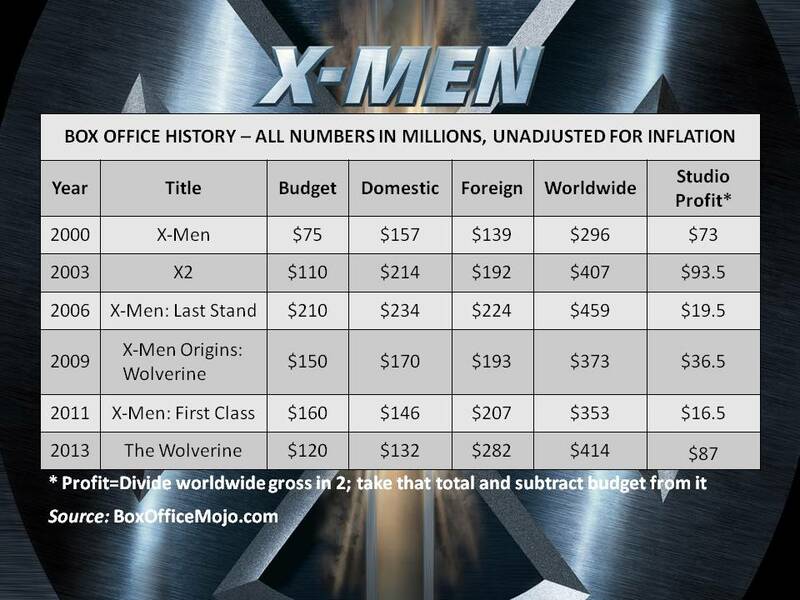 Despite all of that, Sony made nearly as much from ASM2 as Fox did from Days of Future Past. So what gives? Why is one the end of a franchise and the other earns a sequel? It’s all about track record. The last Sam Raimi Spider-Man movie grossed $890m worldwide, and the character’s cinematic adventures have been on a downward trajectory ever since. ASM 1 did $757m and ASM 2 did $709m (before those grosses were divided up between the studio and theaters). Days of Future Past, on the other hand, easily set a franchise high in worldwide gross, with $748m compared to The Last Stand’s $459m in 2006 (not adjusted for inflation). Plus, just as importantly, people seemed to really like Days of Future Past, not so much for Amazing Spider-Man 2. That’s why even though the two films returned nearly identical profits Days of Future Past is getting a sequel (Apocalypse) and spin-offs (Deadpool, Gambit) while Amazing Spider-Man 2 resulted in Sony scrapping everything and partnering with Marvel. *I have no idea why merchandise is listed as profit for ASM2 since THR previously indicated Sony does not make anything off of Spider-Man merchandise sales as those all go back to Disney. Maybe Sony makes money off of Amazing Spider-Man-specific sales, like the video games or officially branded shirts, but anything Spider-Man that’s not explicitly connected to their films falls under Disney/Marvel’s purview. As you point out, a huge part of Days of Future Past was the cost of bringing together that whole, huge cast. One thing that they can hope for with the sequels and spin-offs would be having less of that cast involved, since it’s not a time travel story (probably). So they made their expensive movie and made it well, so that hopefully our audience good-will carries over into the next films. On the other hand, ASM2 was not the big film yet. After you pull off the Sinister Six, and then get them all back together against Spider-Man… that’s when you start getting to an expensive movie (actors and special effects). So maybe they were looking ahead at the fact that they were going to start spending more money on the movies, and with the math seeing that they would be making less money. At least, that’s my current take away after reading this! When you look at the breakdown for Days of Future Past you can certainly see why Jennifer Lawrence, Nicholas Hoult, and Hugh Jackman are all apparently walking away from these films after Apocalypse and Wolverine 3. It might be because the studio can’t afford to pay them more money on new contracts, not if they want to continue making a profit from these movies. It might also have nothing to do with that, but them leaving could be a welcome relief, transitioning to a new generation headed by the young actors they’ve cast as new versions of Storm, Nightcrawler, Jean Grey, Cyclops, and Jubilee. Apocalypse should presumably be a cheaper movie to make, but with Kinberg describing it as their version of a disaster movie I’m thinking that whatever it saves on cast it’s going to make up for in special effects. I really enjoyed Days of Future Past, though. 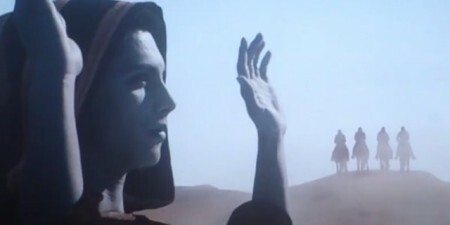 So, I mostly want Apocalypse to be a good movie, and I have a lot of faith in Singer and Kinberg to do that right now. As for ASM2, as it so happens I re-watched the first half of it over the weekend on STARZ. There is one obvious source of cost I failed to consider: shooting in New York. A lot of the movie is clearly shot in actual New York locations, and that ain’t cheap. Plus, there are more special effects throughout it than I had remembered, and they’re better than I credited in the article. It’s some of the CGI renderings of Green Goblin during the climactic fight that I remember looking very video game-y and not big budget blockbuster-y. It is a worrying trend that many superhero films seem to be piling in as many characters as possible in order to try to secure box office success. Maybe if they think they have enough characters then the audience are bound to like at least one of them! Joss Whedon has said that he has struggled to include all of the characters in the new avengers film and this one doesn’t even have Spiderman in it yet. X men wasn’t a great film but it wasn’t awful either but as you rightly said it is laden with potholes. The trend seems to be that as long as you throw money at a project and put enough characters and explosions in it then it’s ok. I hope this is not the case. The new avengers will be an interesting watch! When Joss Whedon says that Age of Ultron was possibly harder for him than that one year he had three shows on the air at the same time (Angel season 4, Buffy season 7, Firefly) we should theoretically be worried. It’s well-documented that Angel and Buffy suffered during those seasons because not only was Whedon stretched too thin he was flat-out obsessed with Firefly, willfully focusing more on it to the detriment of the others. He has likely learned from that and improved over the years, and Marvel Studios has so many built-in quality control mechanisms. However, so much of Age of Ultron is playing out like similarly over-stuffed comic book movies which couldn’t quite find enough screentime for its many moving parts. The difference is that Joss Whedon pulled this off already with the first Avengers. As such, everyone seems to simply assume he’ll not only have repeated that feat but improved upon it considerably in Age of Ultron. There’s a track record there where there isn’t one with the competition. But, in general, Hollywood is a copycat business which always tries to mimic the window dressing but not the heart of what made something good. When The Avengers makes money the rest of Hollywood sees that more characters equals more money, not that Joss Whedon tried very, very hard to give every Avengers a story arc, only dropping the ball with Hawkeye, and that it took 4 years of build-up starting with 2008’s Iron Man and extreme patience to reach that moment. 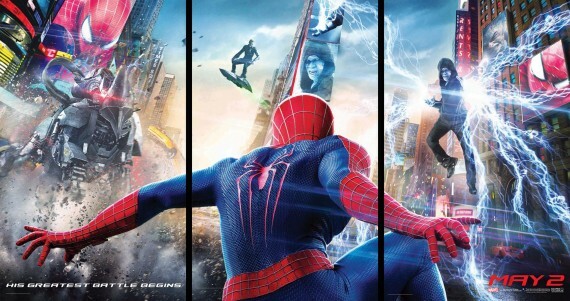 So, suddenly Amazing Spider-Man 2 is stuffing its films with villains and cameos from people who could be developed later, like Felicity Jones’ Felicia Hardy, and Fox is asking Matthew Vaughn, Simon Kinberg, and Bryan Singer to figure out a way to combine the casts of the original X-Men movies with the most popular newbies from First Class. Now, Batman v Superman somehow doesn’t believe that simply giving us Batman and Superman in the same film together is actually enough. That’s just how these trends tend to go in Hollywood. I was proven wrong about Days of Future Past, which despite its hole works so much better than I imagined, and I was sadly proven right about Spider-Man. Who knows what will become of Batman v Superman. Yet I remain oddly optimistic about Age of Ultron even though it really does seem like it has a lot going on, and a fast dude with an odd accent (Quicksilver) and his unhinged sister who can bend reality (Scarlet Witch) seem like strange additions and potentially expendable….AND the army of evil robots will undoubtedly remind us of Days of Future Past. But I tend to now assume that Marvel Studios will always pull off anything they try. I should have just said because that does sum it up perfectly. Not sure if you’re still reading this comments, but I just found this article and it is very insightful. Your responses to comments are just as insightful. I wonder, would you have any idea what sort of breakdown the new Ghostbusters has? I personally loved the movie, but it looks like it is going to “fail” the same way that Amazing Spider-Man 2 did if not worse. With all the toys and ads, it just seems like Spider-Man all over again. Sony really needs to get new executives. It’s a little more challenging to write about because we don’t have nearly as much info. about the financials as we do with ASM2, but I gave it a shot, mostly concluding they probably would have been fine if they’d kept that damn budget down. I’ve been complaining about budgets for awhile and you pretty much took the words out of my mouth and did all of the research to back it up. Thank you! I will just never understand how movies can have such large budgets. Deadpool is proof (albeit, recent proof) that studios can deliver a special effects-ridden blockbuster on a budget. So many movies have struck out this summer and every single one has been an obvious strikeout before even releasing based on the budget alone. Where is the common sense in Hollywood? They need to take a page from Planet of the Apes and Deadpool, like you said. The current strategy is insanity. And honestly, Deadpool’s small budget was a fluke. If they had any faith in their own intellectual property, the budget size for it probably would have been doubled from the start.